Sources close to Defense Minister say he is frustrated with government's response to Hamas attacks, has decided to resign. 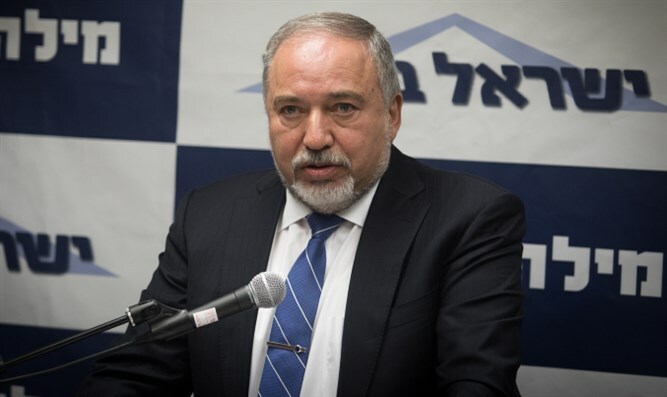 Defense Minister Avigdor Liberman has decided to resign his position in the Netanyahu government, sources close to Liberman said Wednesday, ahead of a public statement by the Defense Minister planned for Wednesday afternoon. Unnamed officials close to the minister said Liberman is frustrated with the government’s handling of the conflict with Hamas in Gaza, and is set on resigning from the Defense Ministry. Earlier on Wednesday, Liberman called a special meeting of his Yisrael Beytenu party for 12:00 p.m. Following the meeting, Liberman is scheduled to make a public statement, widely believed to be an announcement regarding his resignation. The news comes less than 24 hours after Israel and Hamas reportedly reached a ceasefire agreement, ending two days of intense fighting in Gaza and southern Israel.